RDRP Durango DEX210 Plus11 Aluminium Chassis « Big Squid RC – RC Car and Truck News, Reviews, Videos, and More! Team Durango just keeps blowing up, they’ve gone from a small company to one of the front runners in just a couple of years. With that success, many aftermarket companies have jumped on board putting out option parts. Out of all the companies making Durango option parts, Revolution Design Racing Products (RDRP) has to be considered one of the leaders. 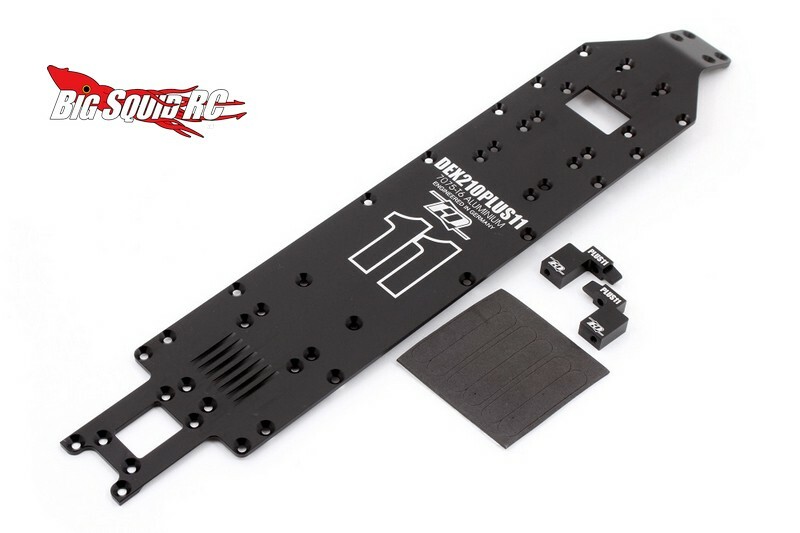 RDRP has announced a new extended length chassis for the Durango 2wd DEX210 buggy. The 7075 T-6 aluminum chassis is stretched a full 11mm for better handling characteristics and is more than twice as rigid as the stock unit. The chassis has been CNC machined, it comes “murdered-out” with black anodizing, and has that trick laser etching that is such the rage right now. Looking for more RDRP news? Hit THIS LINK.